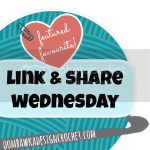 I am very excited to debut this pattern. You can find my pattern at Ravelry. 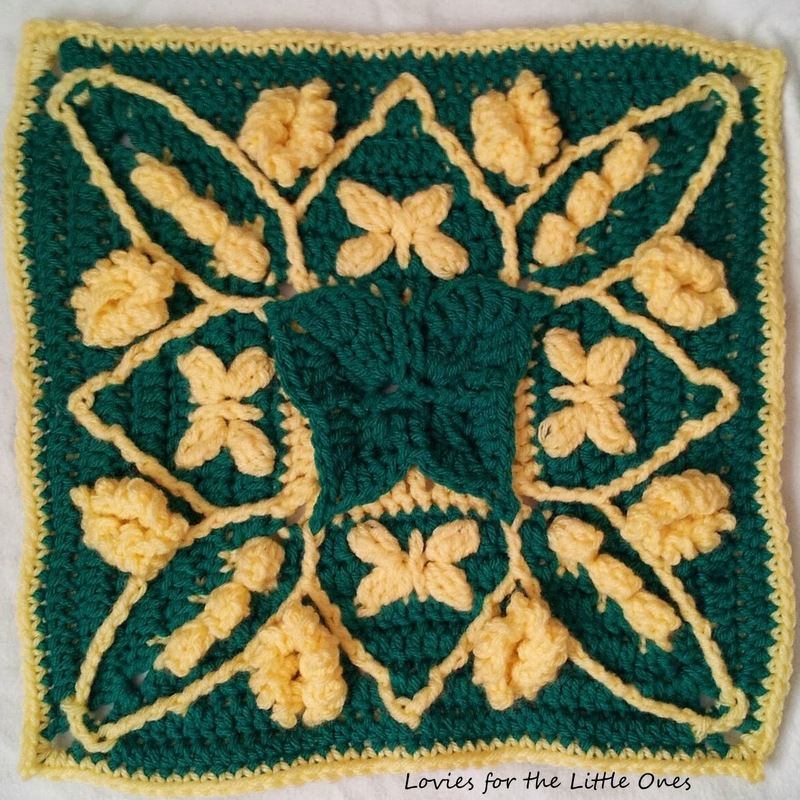 It's hefty for a 12-inch square, but that's how I got all the beautiful detail in the pattern. Butterflies, cocoons, flowers... what more could you ask for? 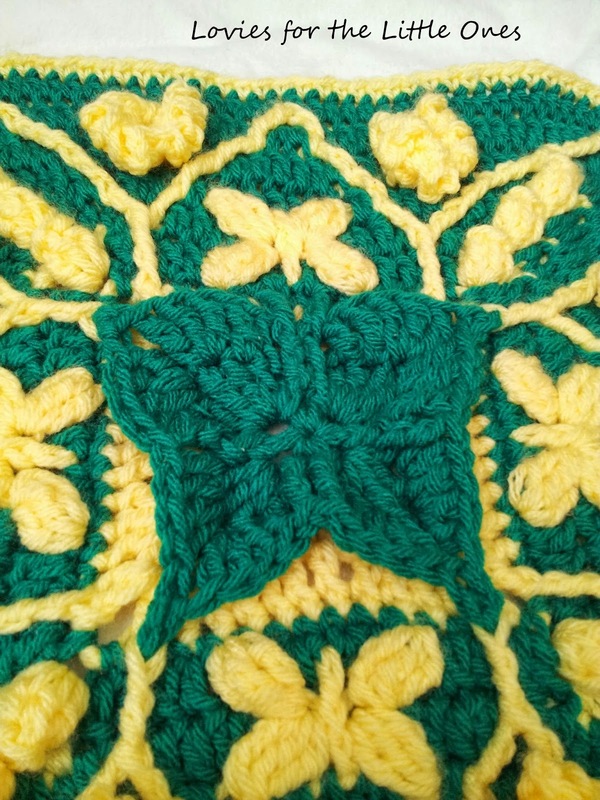 This pattern has a green butterfly in the center. That's because green butterflies stand for Cerebral Palsy Awareness. A portion (10%) of my sales for this pattern will be donated to a non-profit organization/s that would help spread awareness and/or fund research to aid those affected with CP. Cerebral Palsy affects the littlest among us - it's usually congenital (occurs at birth), and those affected usually have many other issues that come up along the way. A lot of my previous crochet has been dedicated to little ones, and here is one way I can continue that trend. My work on the Sophie's Universe CAL (on www.lookatwhatimade.net) and the 2014 and 2015 Moogly Afghan CAL (www.mooglyblog.com) gave inspiration for this project.